If you find yourself in personal injury, our experienced Bothell personal injury attorney is ready and equipped to serve you. Contact our law firm immediately. Personal injury accidents happen every day. Whether the incident is caused by a car, motorcycle, truck, medical malpractice or aboard a ship (Jones Act and Maritime Law), someone is injured and deserves compensation. 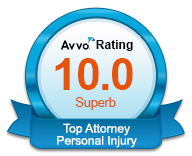 If you find yourself in this position, our experienced personal injury attorneys are ready and equipped to serve you. 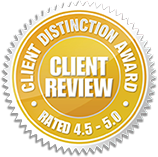 We represent clients throughout Washington and Oregon, with office locations in Everett, Spokane, Vancouver, and Portland. Contact us today by filling out our free claim evaluation form or call us at 888-757-4738. In many personal injury cases, medical bills quickly become a major issue—perhaps you are currently dealing with an overwhelming stack of bills. If your injuries are serious enough to keep you from work, paying medical bills may be all but impossible. When we take on your case, our highest priority will be getting you full and fair compensation for all of your pain and financial losses, including lost wages, hospital bills, and any medical needs you have down the road. At Russell & Hill, PLLC, our attorneys are committed to serving individuals who are suffering from a personal injury. We have represented thousands of accident victims throughout the Northwest, and are dedicated to helping those victims and their families through the complicated legal process. We understand the amount of stress and pain—both physical and emotional—that victims experience. 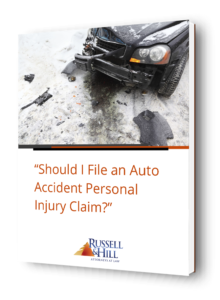 At Russell & Hill, PLLC, we have seen how individuals and families have been affected by a personal injury. While some injuries are caused by intention actions or strict liability, most injury cases are caused by another person’s negligence. 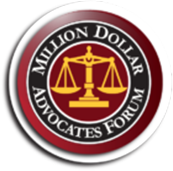 We seek to expose that negligence and give you, the victim, the closure and compensation you need. When we begin a case, our personal injury attorneys work closely with the client, pursuing the exact cause of the accident, meticulously investigating the injuries, costs, and loses. If necessary, we bring in accident scene reconstructionists to help us understand the situation and demonstrate exactly what happened and who is at fault. The scene professional will examine property damage, skid marks, and more, all to accurately determine what caused the accident. In addition to scene reconstructionists, we are in contact with clients’ doctors for medical testimony regarding the extent and severity of the injuries. If the injuries are extreme enough to prevent the client from working, we will work with vocational experts to see how the accident and injury has impeded our client’s ability to work. Each professional opinion is one step closer to getting our client’s full compensation for the time and money they spent in pain. If the party responsible for your injury is, in fact, at fault through intent or negligence, we will aggressively pursue monetary damages for all your expenses and losses. Costs incurred as a direct result of negligence or intentional harm is pursued by our personal injury attorneys and often gained through a judgement or settlement. After investigating the accident, determining the exact cause and intent, and analyzing our client’s personal injury monetary damages, we will represent you with the years of experience backing us. We will take your claim to the insurance companies and negotiate fair compensation for everything you and your family have gone through, whether hospital bills or emotional trauma. Because we prepare each case with the possibility of a trail, insurance companies take us seriously. If for some reason the settlement is not agreed upon, we will not hesitate to take your claim straight to a jury and fight for you in court. Our attorneys are known for being aggressive and committed to the client; they are passionate advocates who put in the time and energy necessary to complete each client’s case successfully. If you or a loved one has recently been in an accident, contact us for a free initial consultation with legal experts ready to serve you. For more information on personal injury cases in Washington and Oregon, call us toll free at 888-757-4738 or fill out our free personal injury evaluation form.